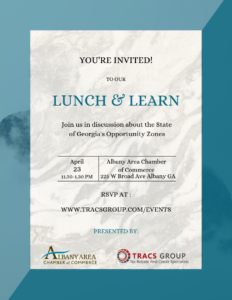 After our previous success in sharing information on the GA Opportunity Zones & Job Tax Credit program with the business owners of Albany, Tracs Group is pleased to be back for another round. Doughtery county’s special designation from the state of Georgia gives businesses in the area the maximum allotment for tax savings. These specific tax credits can be used to increase cash flow within the business as well as eliminate their withholding and state income liability. Join us for a catered lunch and more information on how your company can take advantage of the tax credits you are entitled to. This entry was posted in Member Announcements on April 11, 2019 by Mary Bickerstaff. You will enjoy excellent menus and great service. After you have had a chance to dine with us you may like to become a Dining Member – there is NO initiation fee – Monthly dues are only $60.00 per month. – In addition, Chamber Members will receive the first month dues FREE!! — We invite you to enjoy Stonebridge Your NEW Dining Destination!! This entry was posted in Member Announcements on April 9, 2019 by Mary Bickerstaff. This entry was posted in Member Announcements, Uncategorized on April 4, 2019 by Mary Bickerstaff. 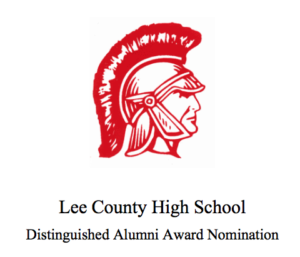 The Lee County High School Distinguished Alumni Committee is pleased to announce that it will be accepting nominations for its 2019 LCHS Distinguished Alumni Award. The purpose of the Lee County High School Distinguished Alumni Award is to recognize outstanding alumni of Lee County High School who have maintained a high standard of excellence and distinguished themselves through their work, personal accomplishments, or in the lives of others. These individuals exemplify the ideals of the Lee County School System and the community it serves and should be held as role models for current and future Lee County High School students. Must be a Lee County High School graduate at least 15 years prior to nomination. Award may be given posthumously. Nominees will have distinguished themselves through their work, personal accomplishments, or in the lives of others and is noted in his/her field of endeavor or recognized for his/her expertise and accomplishments. Nominees must be in good standing in their community, past and present. Nominees will have demonstrated positive leadership and service or contributions to community or society. There will be a maximum of 7 individuals selected each year as Distinguished Alumni. Once a nomination is made it will be reconsidered on an annual basis. The nomination may be submitted by a friend, family member, or colleague. All nominations must be postmarked/delivered no later than June 1, 2019 and must be submitted by mail or in person to the Lee County Chamber of Commerce, 100-B Starksville Avenue, North, Leesburg, GA 31763. In addition to the nomination form, it is required that two letters of support of the nominee be included, completed by individuals other than the nominator, and must be included with the nomination form. Also, a resume of the nominee and supporting documentation should be included with the nomination form. Nominations will be reviewed by the Distinguished Alumni Committee. This committee consists of representatives from (1) The Lee County Retired Educators (2) Lee County Family Connection (3) Community-at-large (4) Lee County School System. Applications are available at the Lee County Chamber of Commerce or Lee County High School front office or online at the Lee County School System website: http://www.lee.k12.ga.us, the Lee County Panoptic website: http://www.lee.k12.ga.us/lchs/yearbook.html, Lee County Family Connection website: www.leecountyfamilyconnection.org, and the Lee County Chamber website: http://www.leechamber.net/. You can also request an application be emailed to you by contacting Lisa Davis at ldavis@lee.ga.usor Bill Turoski at billturoski@synovus.com. For further information please contact Lisa Davis with the Lee County Chamber of Commerce at 759-2422, or Bill Turoski with Synovus Bank at 430-7034. This entry was posted in Member Announcements on March 26, 2019 by Mary Bickerstaff. 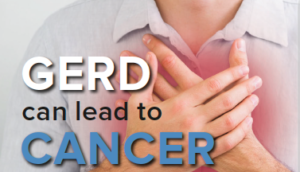 This entry was posted in Chamber News, Events on March 25, 2019 by Mary Bickerstaff. Albany, Ga.– The United States Chamber of Commerce has awarded the Albany Area Chamber of Commerce with 4-Star Accreditation for its sound policies, effective organizational procedures and positive impact on the community. 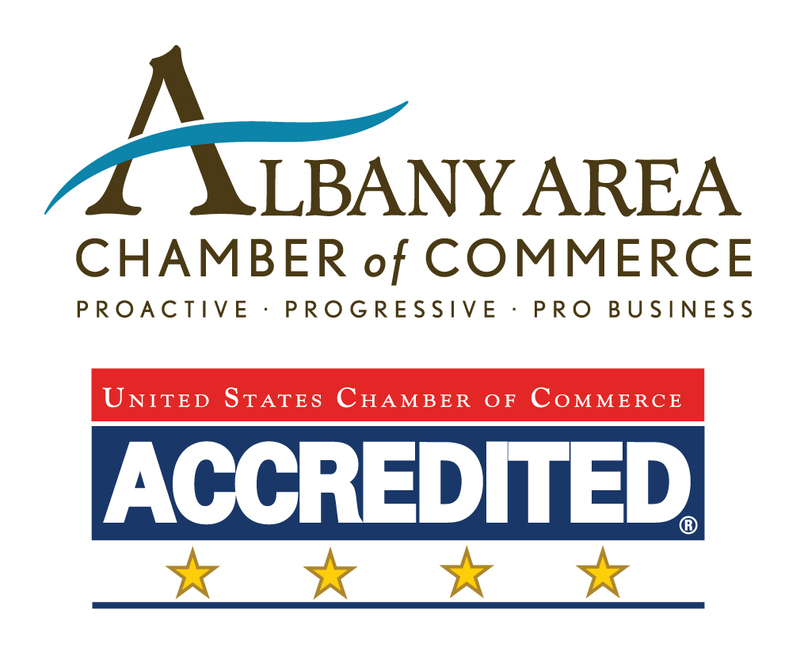 The Albany Area Chamber has been accredited with the U.S. Chamber since 1997 and previously held 3-Star status. Accreditation is the only national program that recognizes chambers for their effective organizational procedures and community involvement. In order to receive Accreditation, a chamber must meet minimum standards in their operations and programs, and demonstrate core competencies in nine areas: governance, finance, human resources, government affairs, program development, technology, communications, facilities and benchmarking. This extensive and intensive self-review can take six-nine months to complete. The 4-Star designation ranks the Albany Area Chamber in the top 180 of the more than 7,000 chambers in the United States. 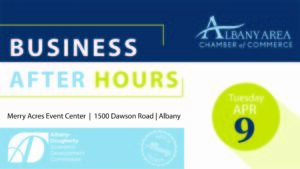 The Albany Area Chamber of Commerce, established in 1910, advocates for business success through leadership and economic development. Learn more at Albanyga.com. 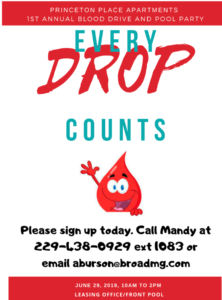 This entry was posted in Chamber News, News & Publications on March 21, 2019 by Mandy Kavanaugh. Dear Fellow Chamber of Commerce Member, As a citizen of the Dougherty County area and businessperson, you know that one of the key components of your future success is the economic viability of the region, which in turn heavily depends on the quality of our workforce. Every business owner in Dougherty County has faced serious challenges in ﬁnding and keeping qualiﬁed employees. We believe that Albany needs a “shot in the arm” to improve the talent pool in our area. We’ve founded the Collegiate Academy of Albany (“CAA”) to provide all Albany’s families, without regard to their economic situation and to provide greater opportunities for their children to receive a high-quality, college-prep education. We have applied for a charter from the Georgia Charter Schools Commission; If granted, we will open as a K-3 school in August 2020, growing a grade a year until we’re hopefully educating 1,430 students in grades K-12. There will be no tuition or admission tests as the school will be a public charter school with a statewide attendance zone, funded completely by the state. We believe that every family, regardless of net worth and income level, deserves the best education possible. As business people, we need our graduates to be ready for college and the workforce, in the hopes that they will remain in our community to make it stronger and more viable. Please share the attached link with your employees and ask them to spread the word. We need a strong show of support for our school in the community and need your help to make it happen. Please ask every employee to go online to https://caalbany.sabis.net/sign-our-petition and sign this petition so we may be granted our charter. We would also appreciate you writing a letter of support. Please send the letter to delk.glenn@gmail.com. Also, if you have any questions or wish us to attend an employee meeting to answer any questions, please let us know at delk.glenn@gmail.com and we will be in touch shortly. Our community has so much to gain with the success of this school. Please join us in giving our kids greater opportunities to a high quality, public education. This entry was posted in Member Announcements on March 14, 2019 by Mary Bickerstaff. Lagging investment crippling local and national transportation infrastructure. TSPLOST provides local funding mechanism. When it comes to moving people or goods, transportation is key. Transportation is simply defined as transporting someone or something, or the process of being transported. That action or process is facilitated by many factors, including quality roads, roadway signage, efficient intersections and sidewalks. Without maintenance of these factors, the “someone or something” can’t be transported or the efficiency of the transport is significantly diminished. This hurts commerce, and when commerce suffers, so do people and economies. Now during early voting and on March 19, voters in Albany and Dougherty County can vote to invest in safe and efficient transportation, enhancing the health of our economy and the quality of life for our residents. From roadway improvements to sidewalks, the project list for the $80 million Transportation Special Purpose Local Option Sales Tax (TSPLOST) addresses needs that are critical to economic growth. TSPLOST allows voters to dedicate a 1 percent sales tax for special transportation projects. That 1 percent sales tax would be applied to all goods and services that are taxable; it is an equitable consumption tax shared by all who make purchases in Albany and Dougherty County. TSPLOST is estimated to generate $80 million in revenue during its five-year life cycle. Of that $80 million, nearly half could be generated by out-of-town visitors to the community, diminishing by nearly 50 percent the contribution to be made by local residents and business owners. Full benefit at nearly half the cost. The single largest allocation of TSPLOST funds includes road resurfacing and associated infrastructure for roads in poor/very poor condition, preventing the continued structural deterioration of more than 250 miles of roads in Albany and Dougherty County. TSPLOST allocates funds to intersection upgrades and road improvements to ease traffic congestion and improve safety. Funds are also dedicated to roadway widenings that impact traffic congestion and safety. Sidewalk installation and improvements are included in TSPLOST project list. This includes installation of concrete sidewalks to enhance pedestrian safety near schools and other heavily traveled areas where sidewalks are lacking. Years ago, “All Roads Lead to Albany” was a popular Chamber campaign touting the roadway infrastructure of Albany and Dougherty County. The campaign was effective; the community’s four-lane highway connectivity, interior road grid, quality of roads and accessibility to interstates has proved a selling point for manufacturing, distribution and logistics companies that have relocated or expanded locations to Albany and Dougherty County. Today, the narrative behind “All Roads Lead to Albany” remains a relevant selling point. But those roads, through years and years of increasing wear and tear, are in need of maintenance that far exceeds the available funding. Nationally, the situation is alarmingly similar. The American Association of Civil Engineers (AACE) gave the American transportation infrastructure a grade of D+ and estimated a $2 trillion infrastructure gap, including investments for surface transportation such as bridges and roadways. According to a recent U.S. Chamber of Commerce report, AACE estimates that four in 10 American roads are in poor to mediocre condition and that by 2025, our nation’s failing infrastructure systems will have cost American businesses $7 trillion. “In large part,” the U.S. Chamber concluded, “our country’s failing infrastructure is due to lagging investment. While population, road congestion and maintenance backlogs have ballooned, investment into maintaining, repairing and upgrading our critical infrastructure systems has slipped. Communities close to Albany and Dougherty County, and cities and counties throughout Georgia, are addressing chronic transportation funding gaps through the passage of TSPLOST. If voters in Albany and Dougherty County do not pass the referendum, the needs will continue to go unmet, creating a more challenging and costlier situation for local residents and business owners. These challenges will ultimately need a solution, and without other funding mechanisms that help offset the local investment, residents and business owners in Albany and Dougherty County will, at some point and in some way, likely assume the full expense of updating the community’s transportation infrastructure and assets. Understanding the need for adequate transportation infrastructure for the economic health of our community and the quality of life of our citizens, the Albany Area Chamber supports passage of TSPLOST and encourages residents of Albany and Dougherty County to “VOTE YES TO TSPLOST” now during early voting or on March 19. 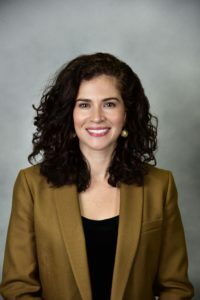 Bárbara Rivera Holmes is president and CEO of the Albany Area Chamber of Commerce, which advocates for business success through leadership and economic development. This entry was posted in Chamber News, Uncategorized and tagged Advocacy, editorials, Policy, Transportation on March 10, 2019 by Mandy Kavanaugh.